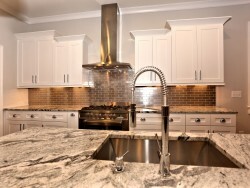 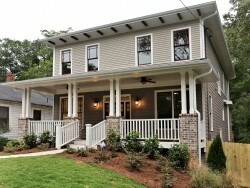 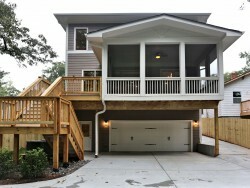 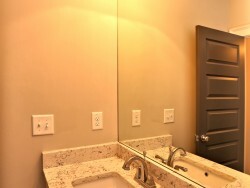 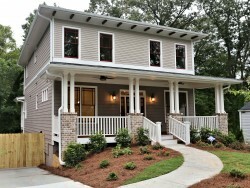 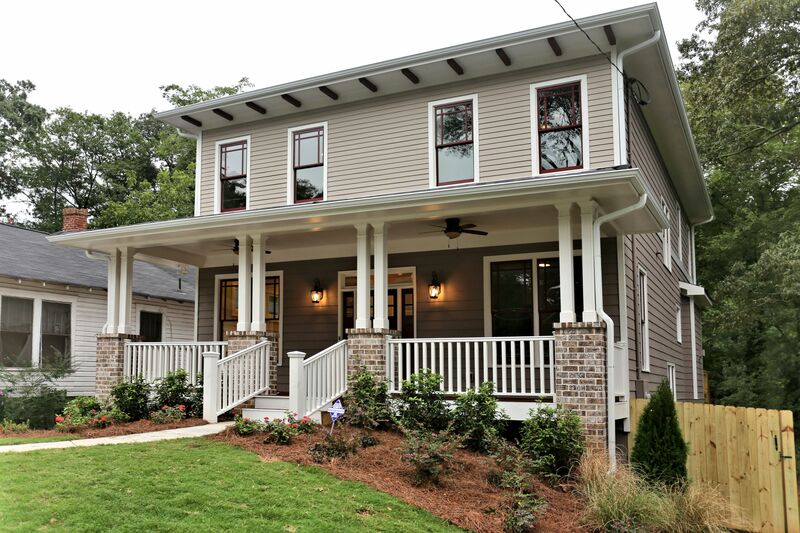 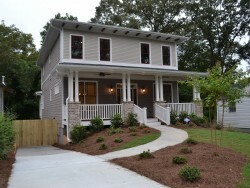 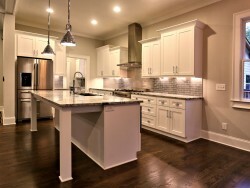 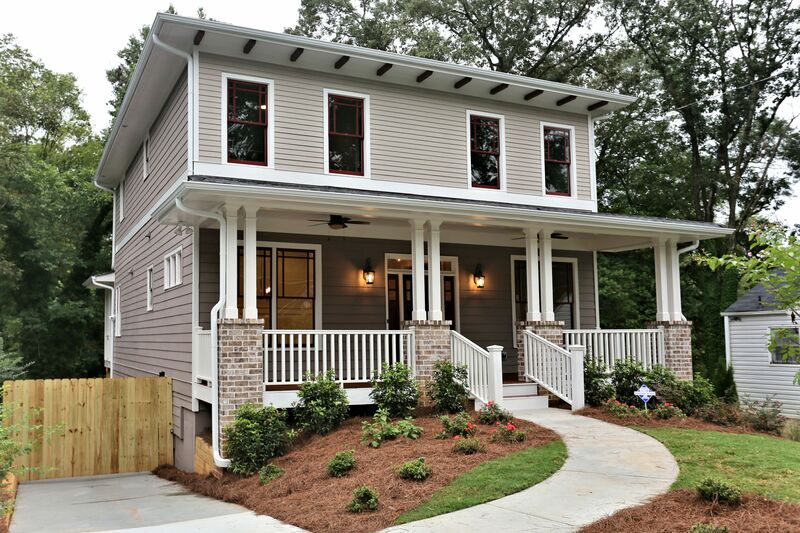 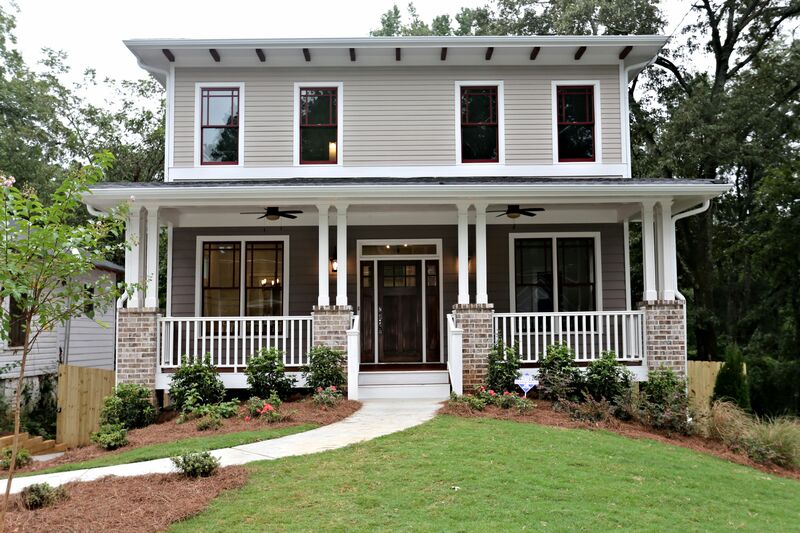 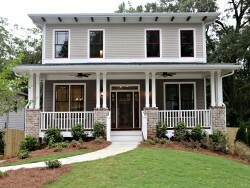 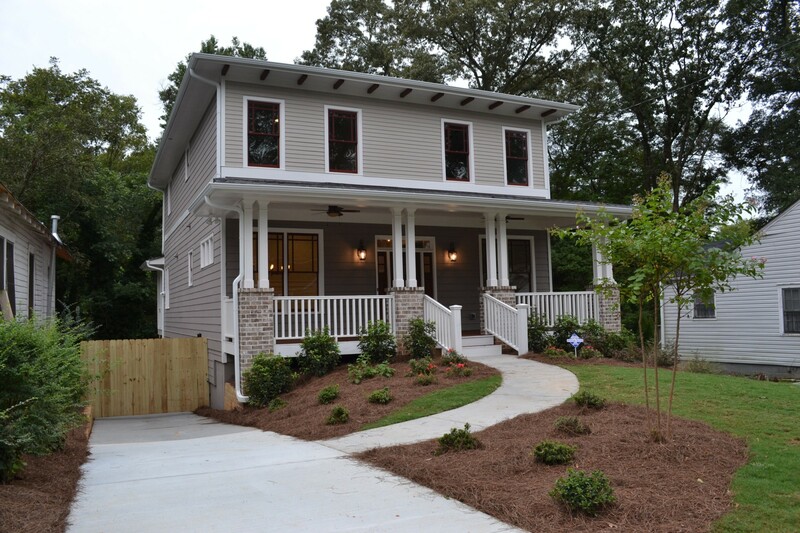 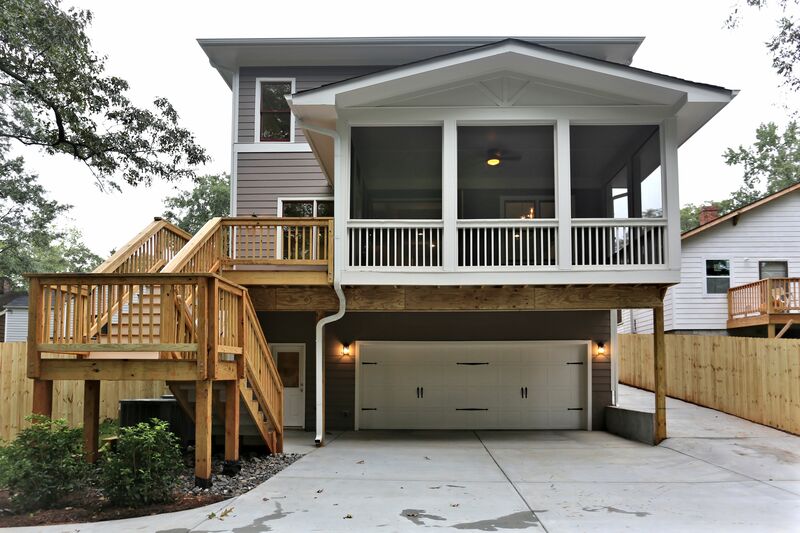 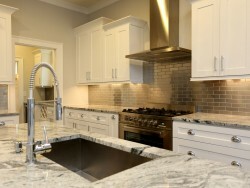 Awesome new construction by VisionPointe Homes! 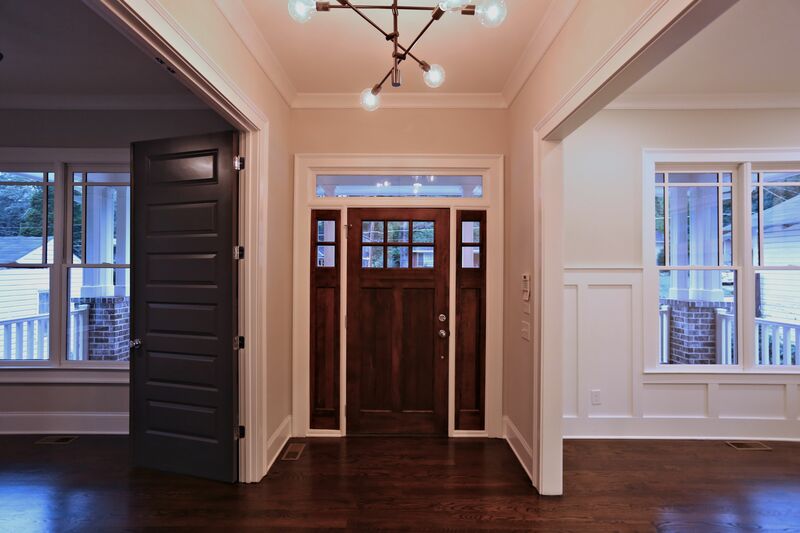 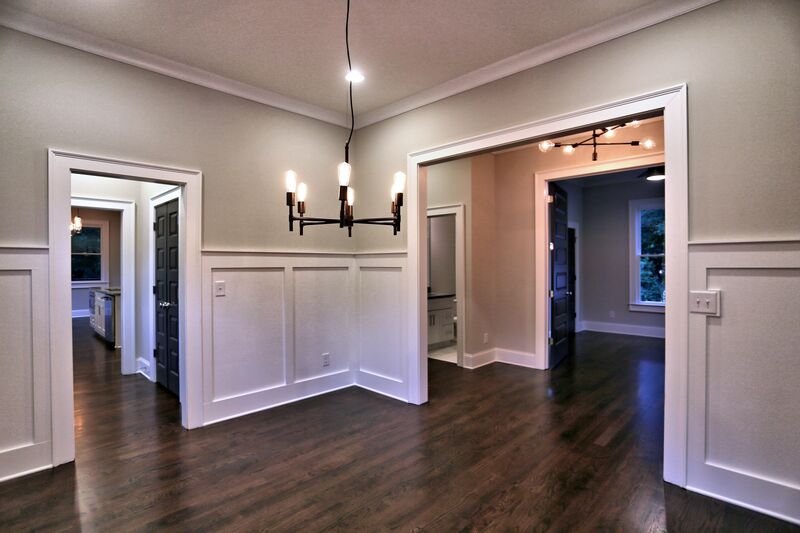 Spacious open floorplan with high-end contemporary finishes. 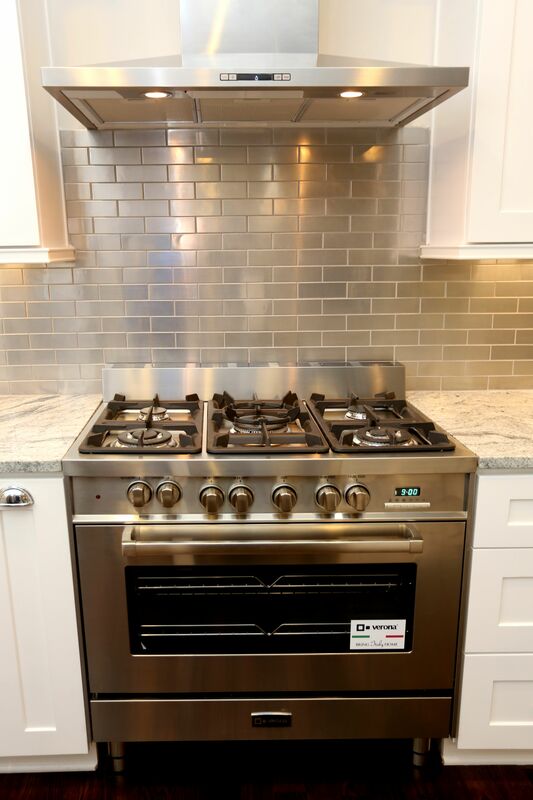 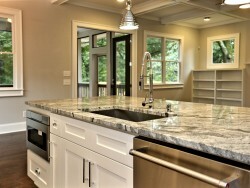 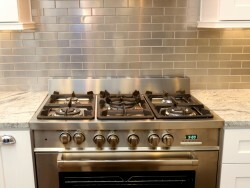 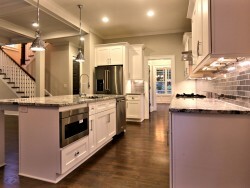 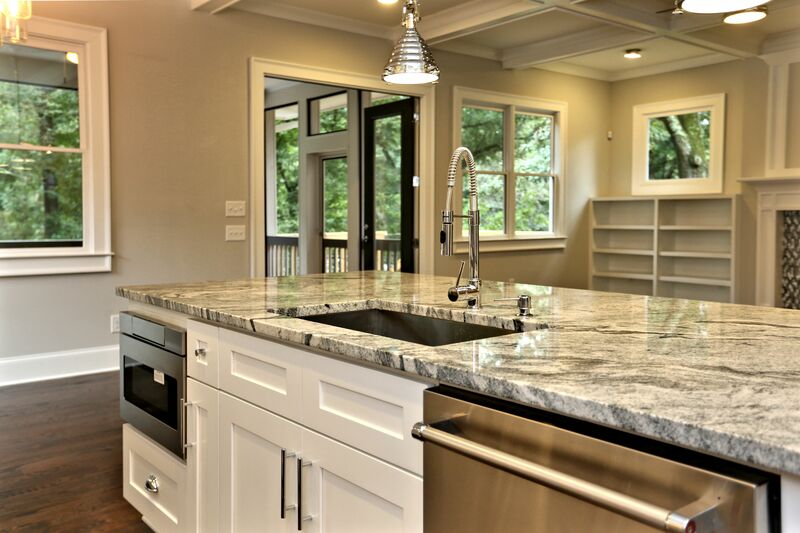 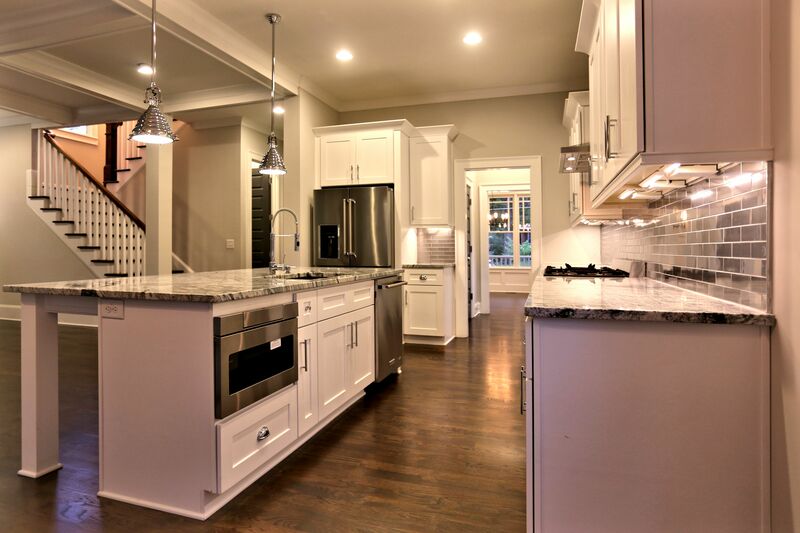 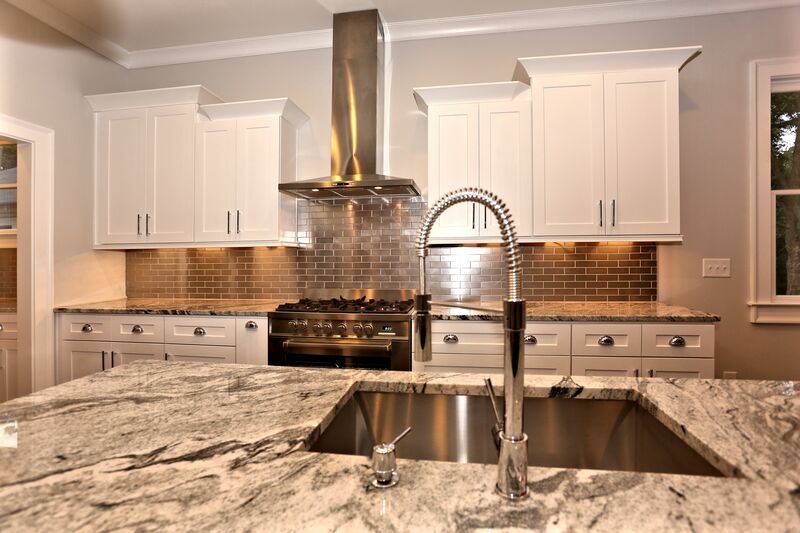 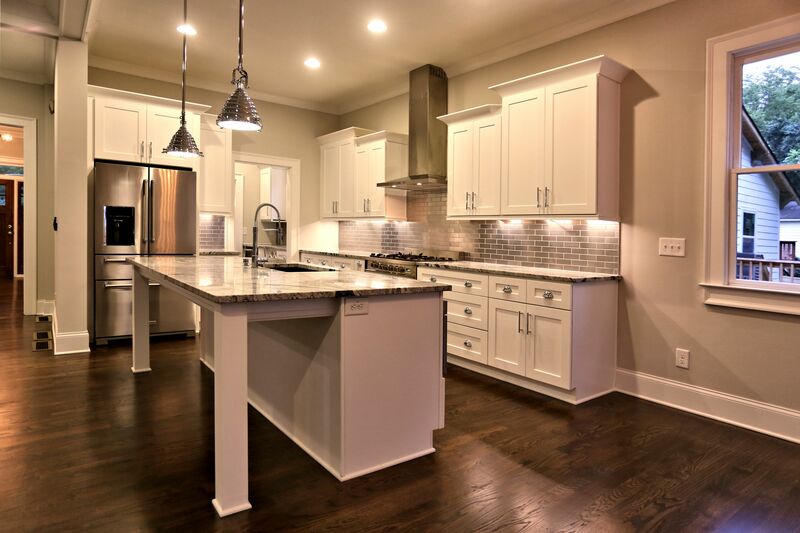 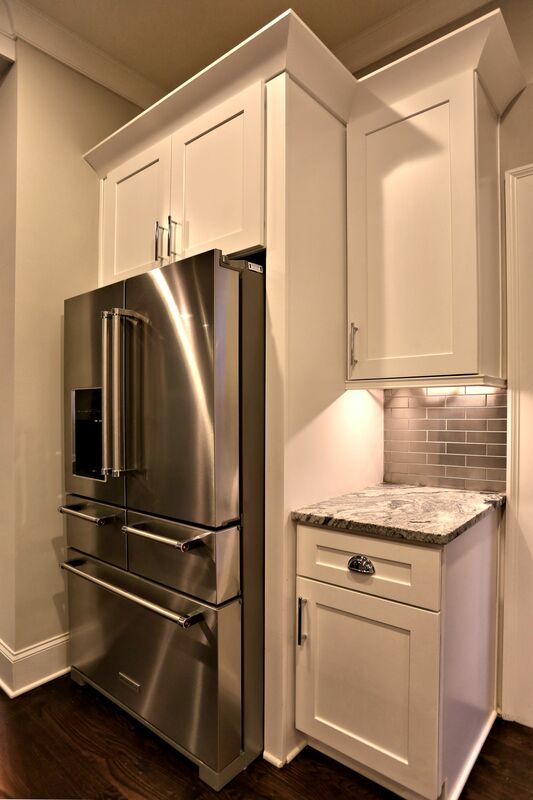 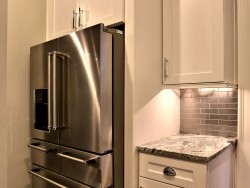 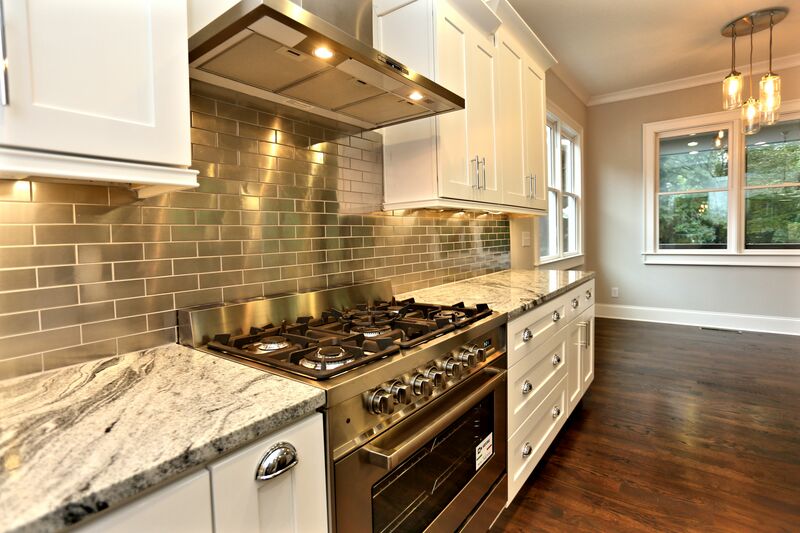 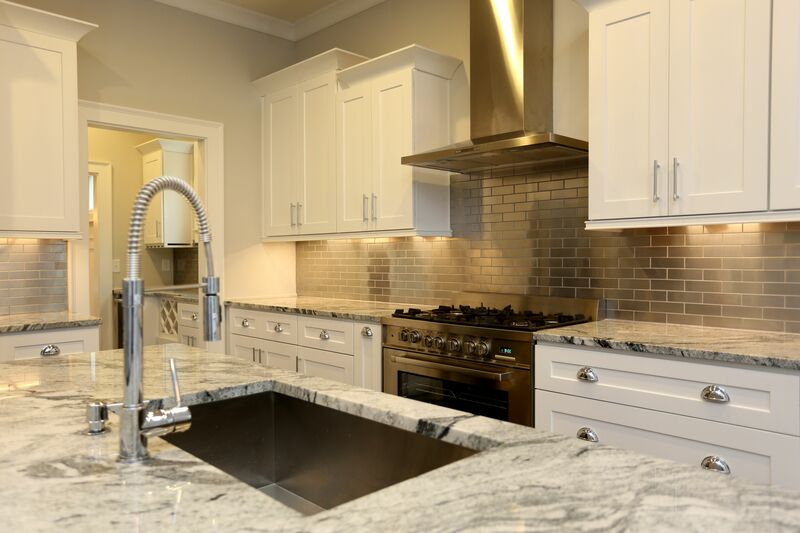 Chef’s kitchen with Italian commercial-style range, white shaker-style cabinets, granite countertops, under cabinet lighting, large island with breakfast bar, Butler’s Pantry with wine rack and wine cooler. 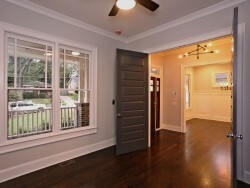 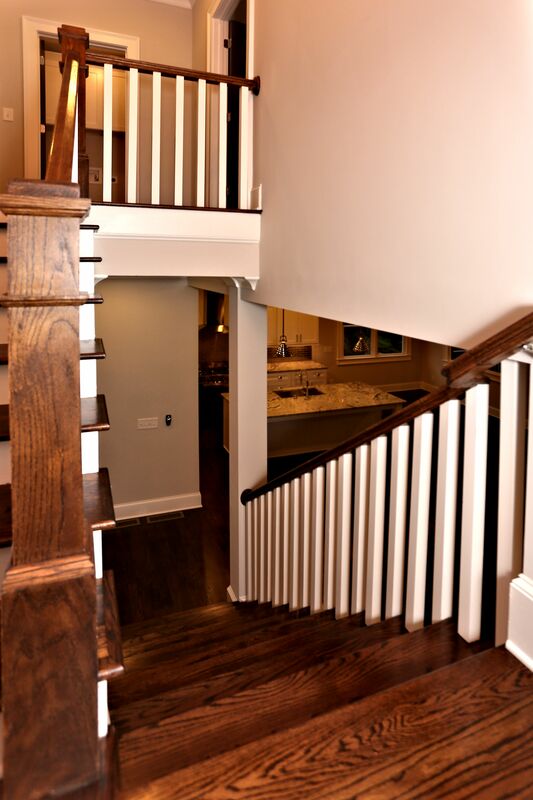 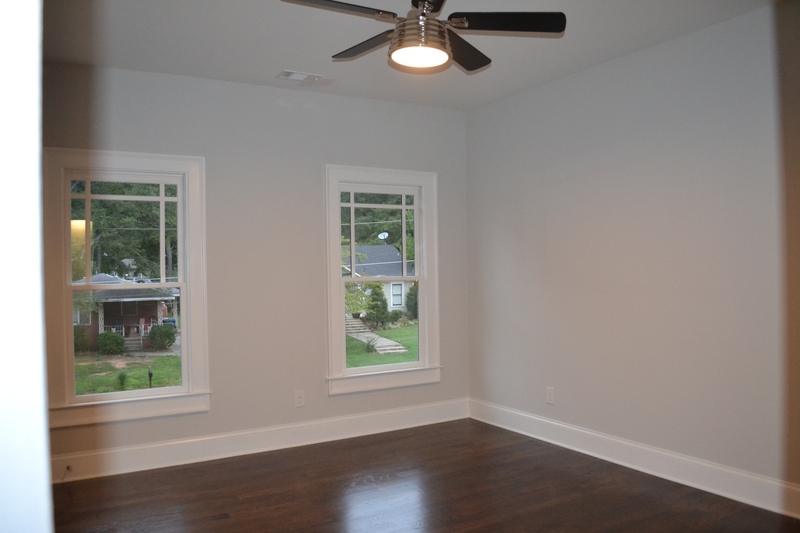 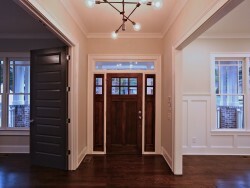 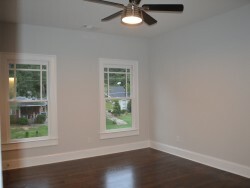 Dark-stained, 3 1/4 inch oak hardwood floors on the main level and in the master bedroom. 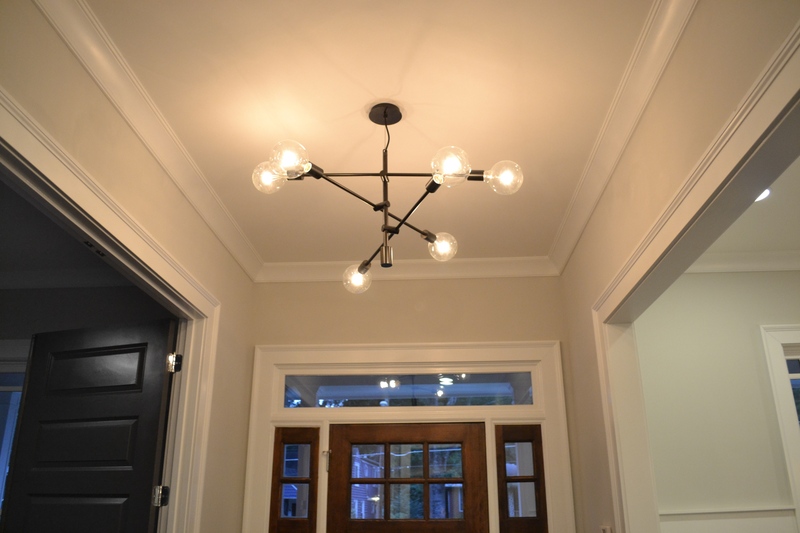 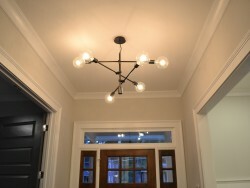 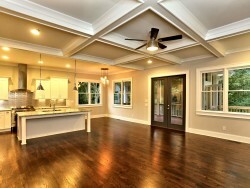 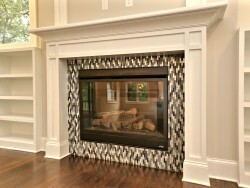 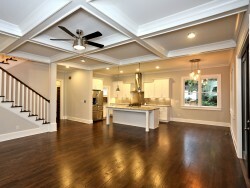 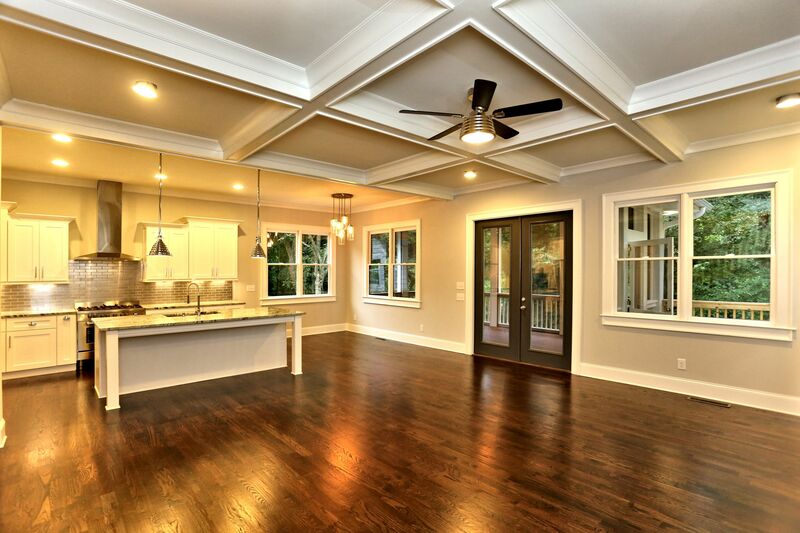 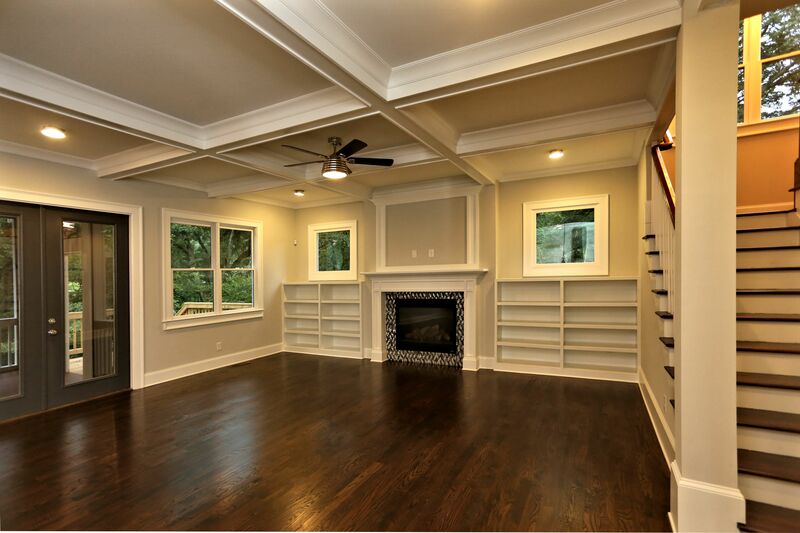 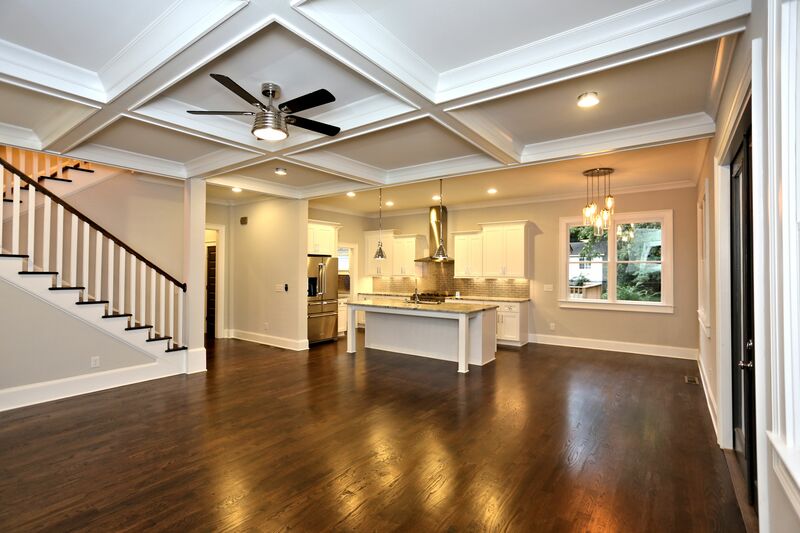 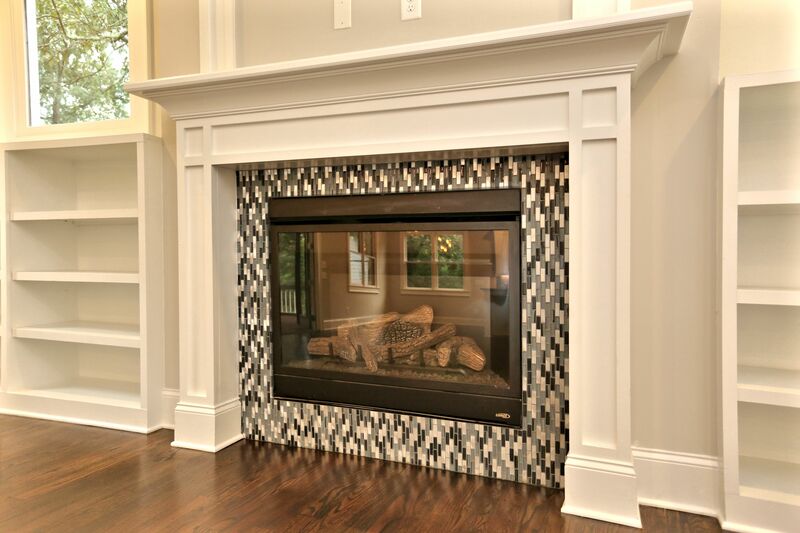 Family Room has a gas fireplace flanked by built-ins and a coffered ceiling. 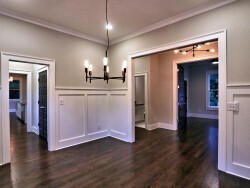 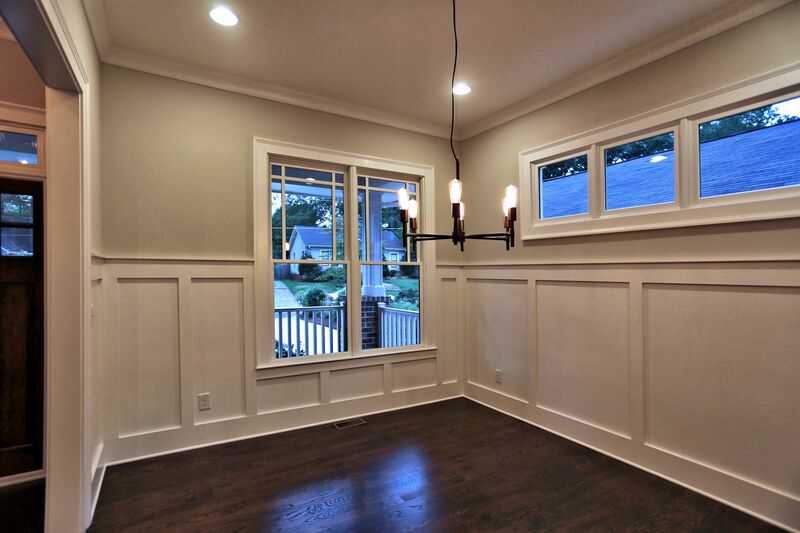 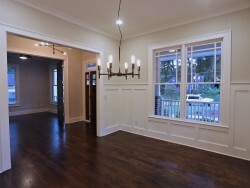 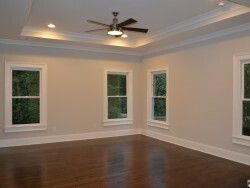 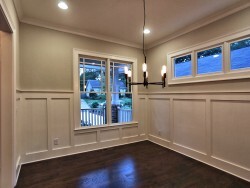 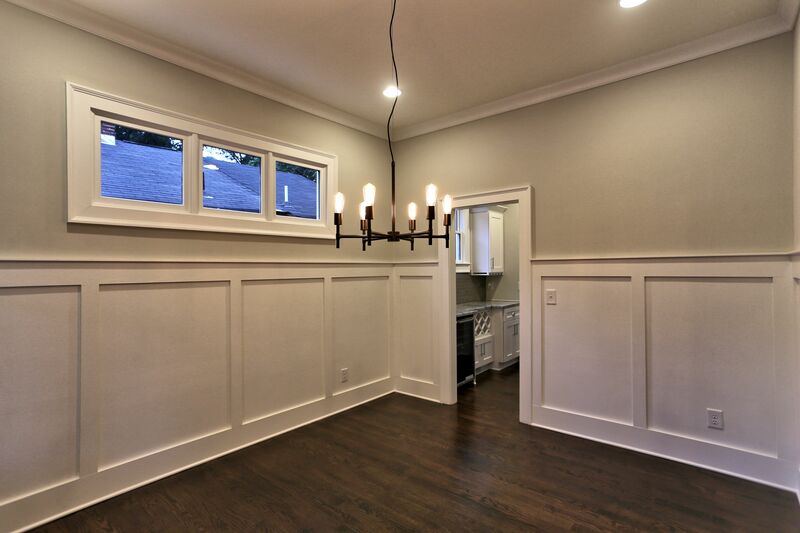 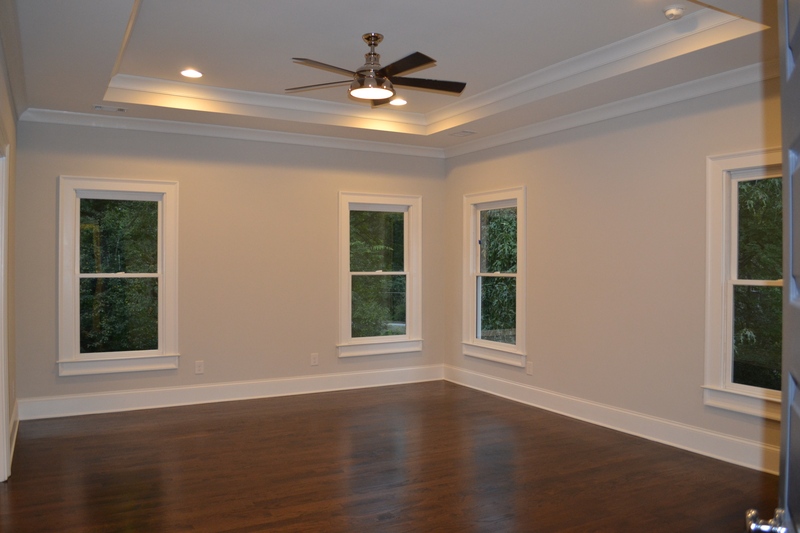 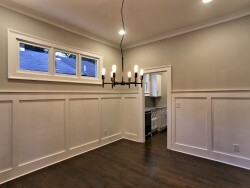 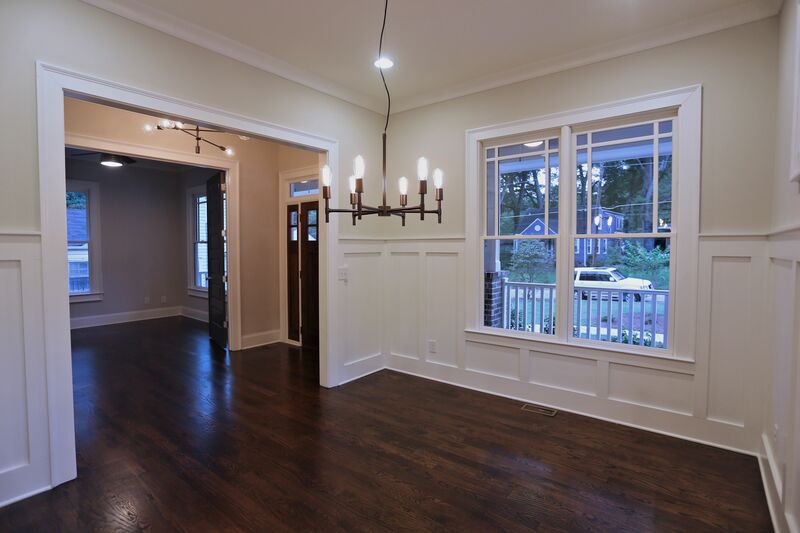 Formal Dining Room has wainscoating topped with plate rail. 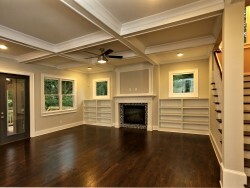 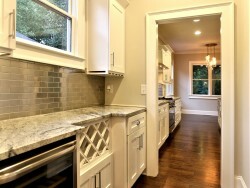 Breakfast Room is off the kitchen and overlooks the Family Room. 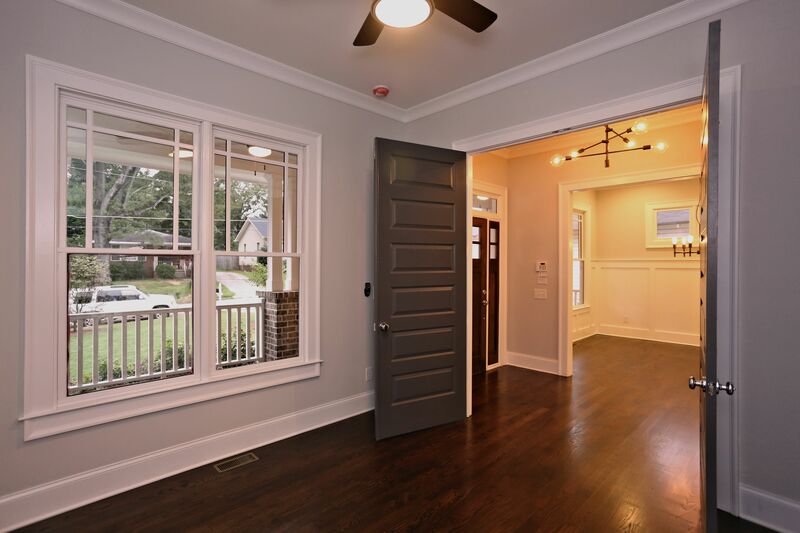 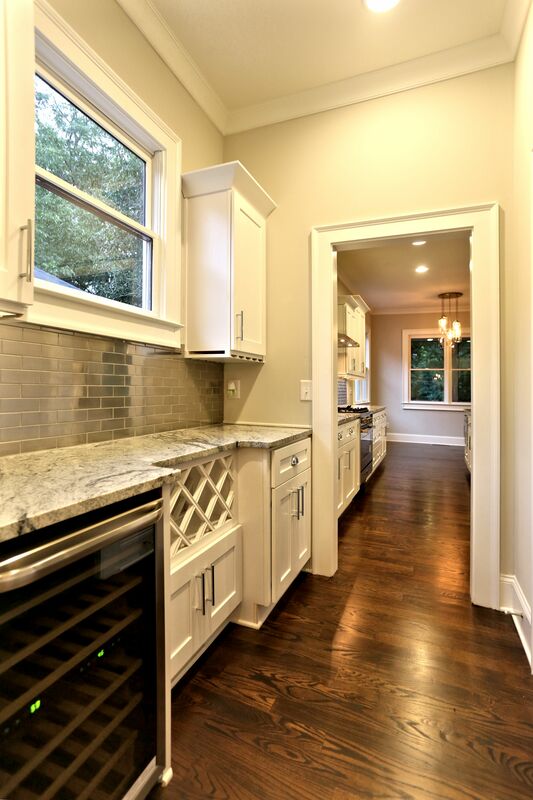 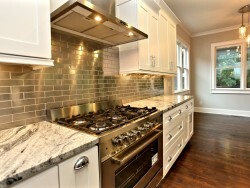 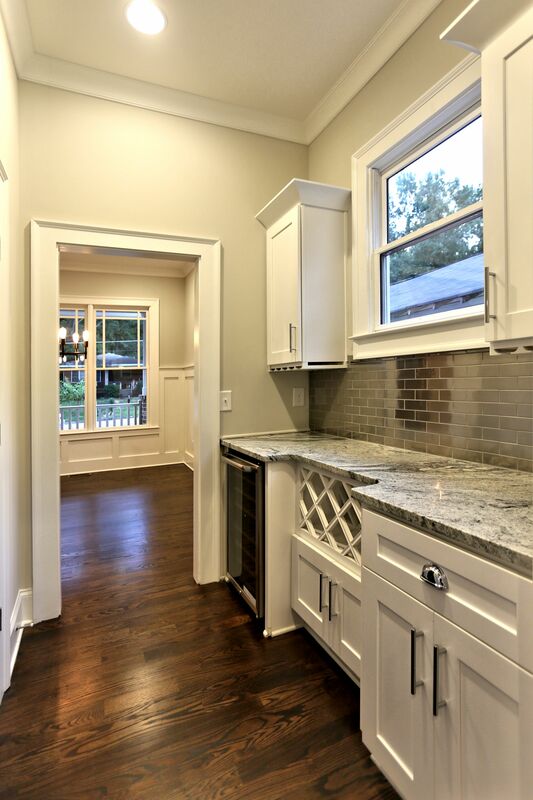 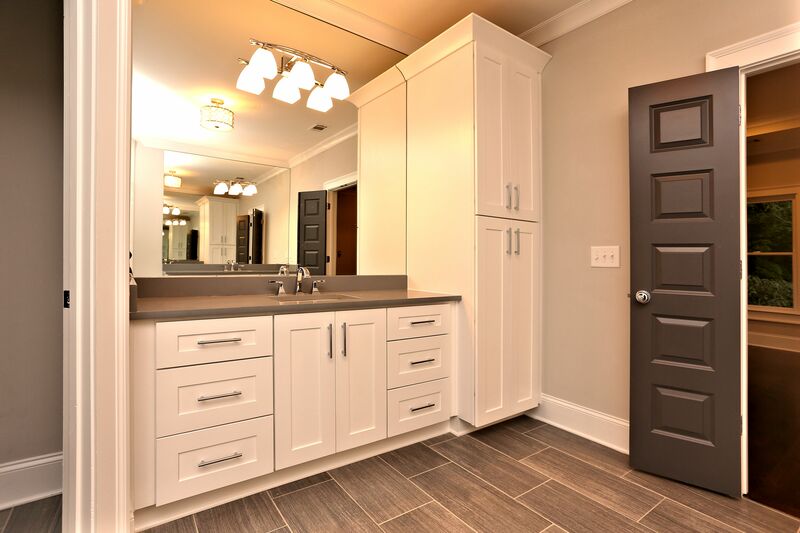 Extensive trim package throughout.Shades of gray color palette, polished chrome metals. 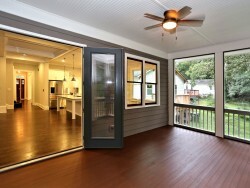 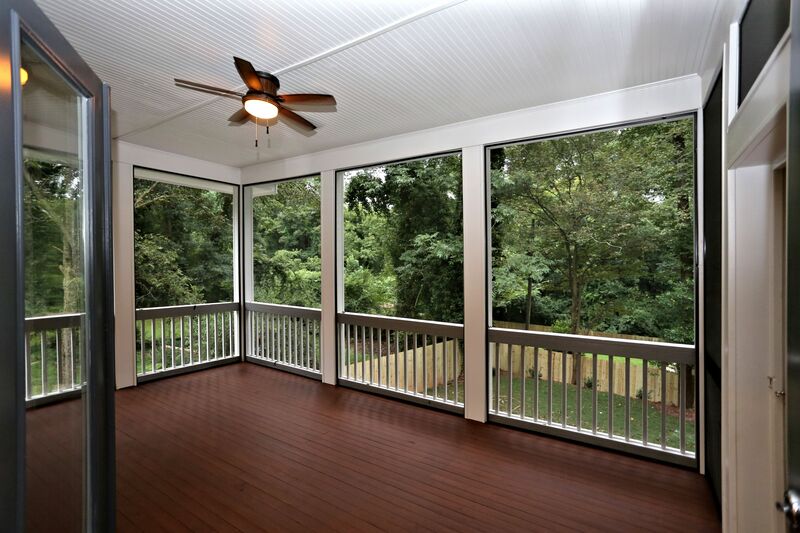 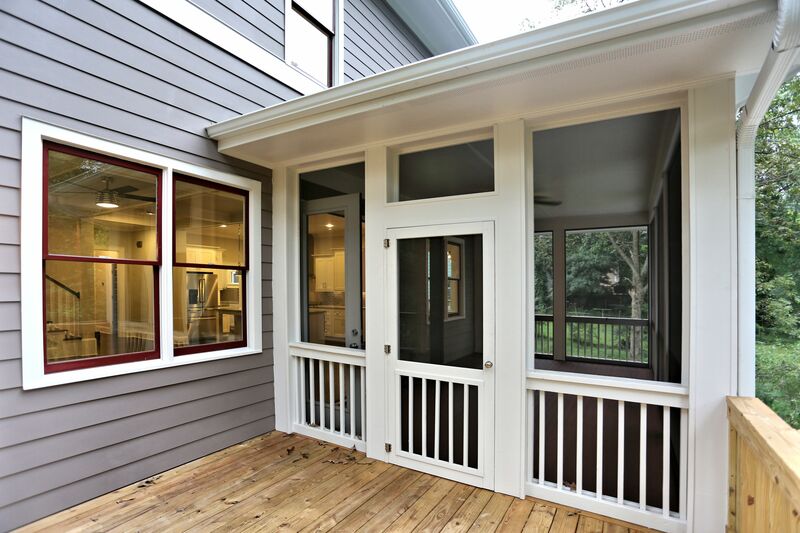 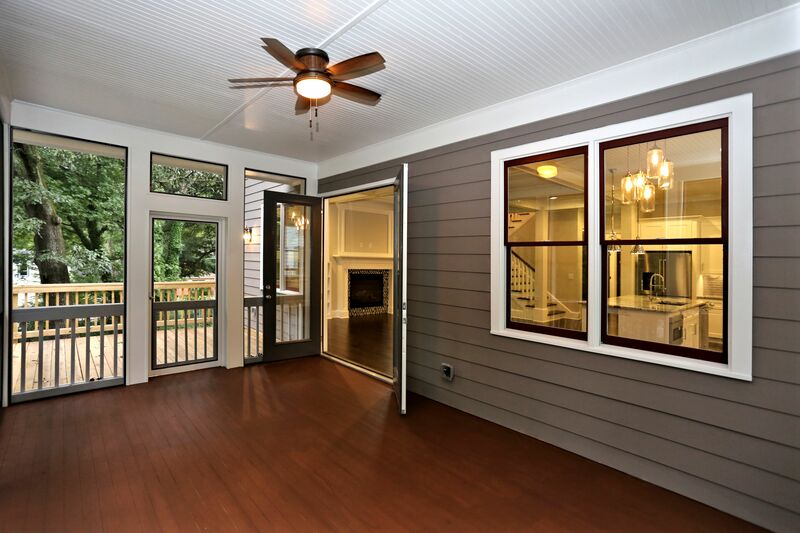 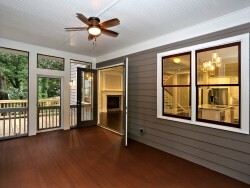 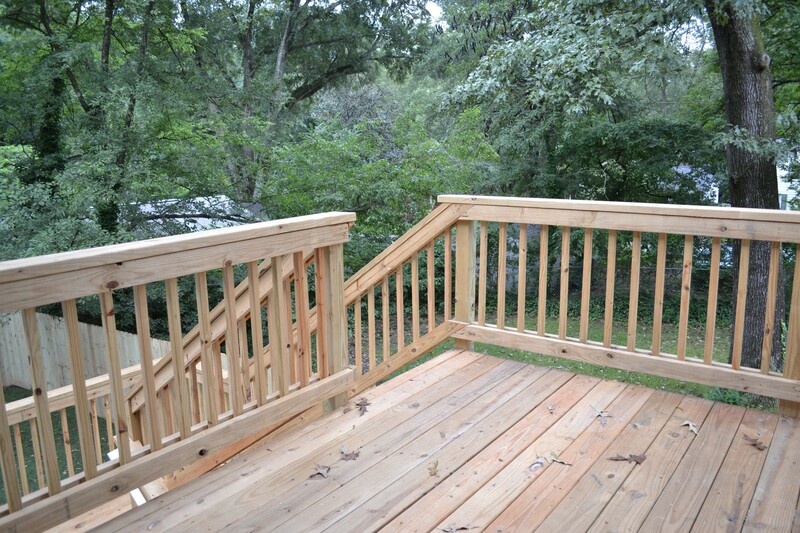 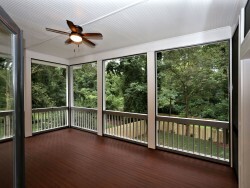 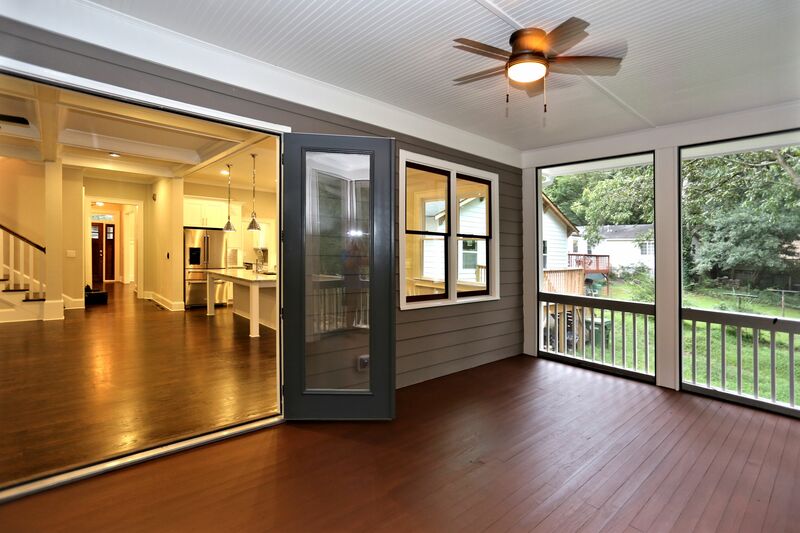 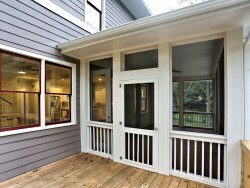 Rocking chair front porch plus rear deck overlooking backyard. 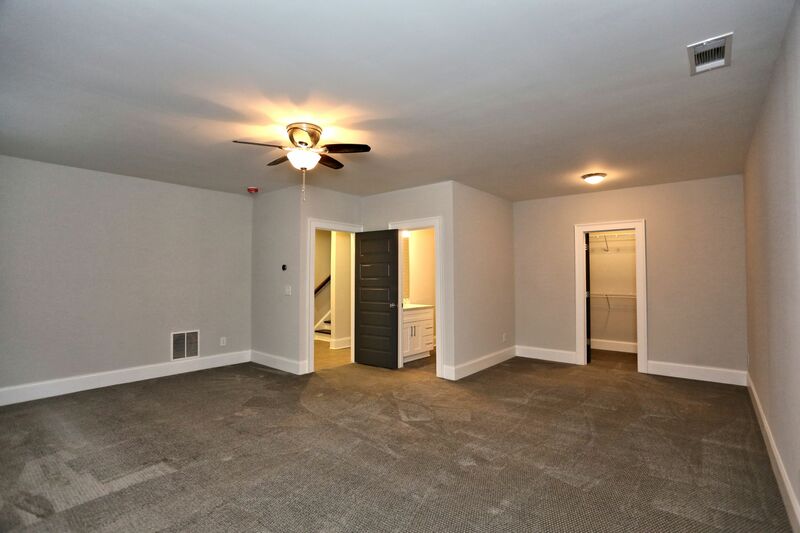 Spacious master with HUGE walk-in closet. 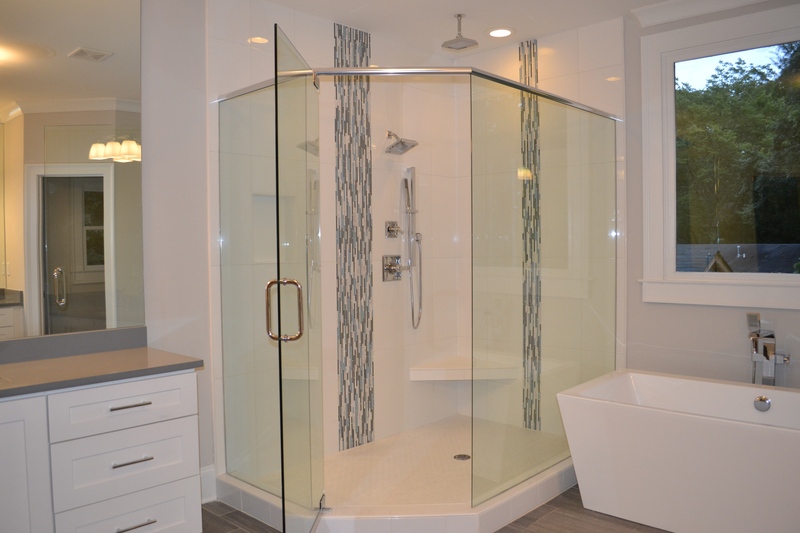 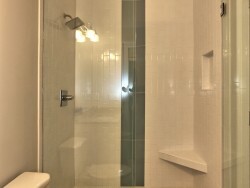 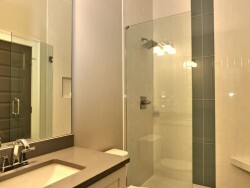 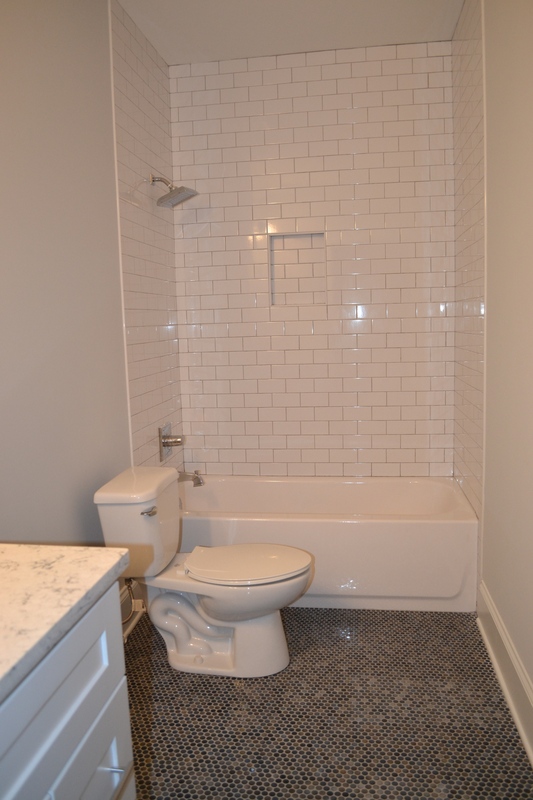 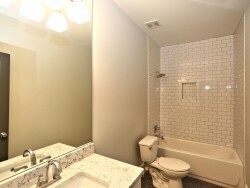 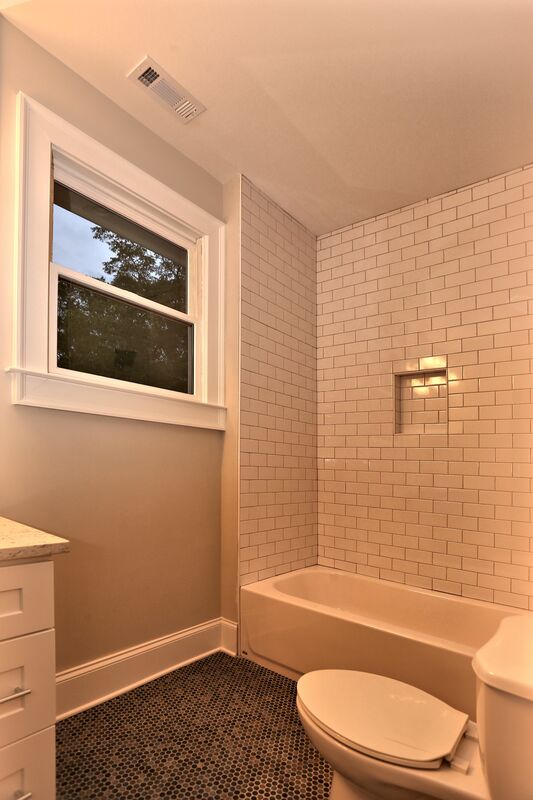 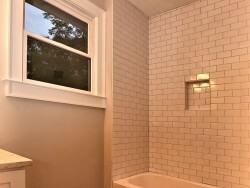 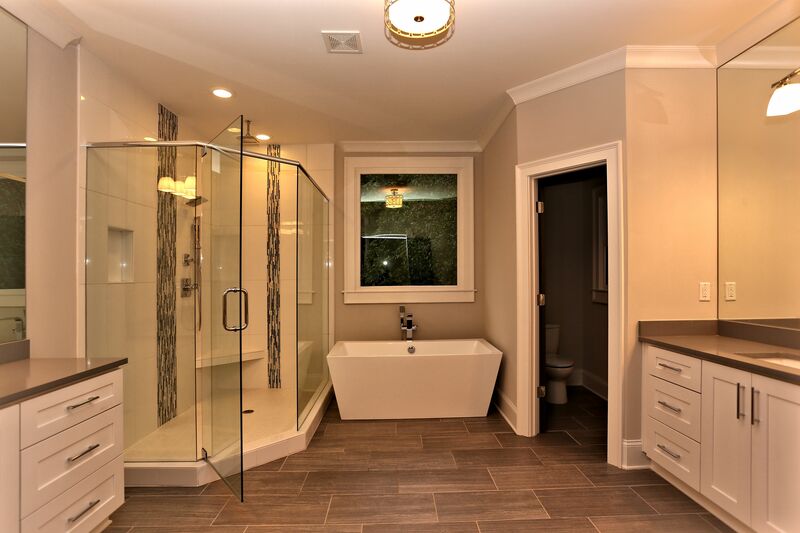 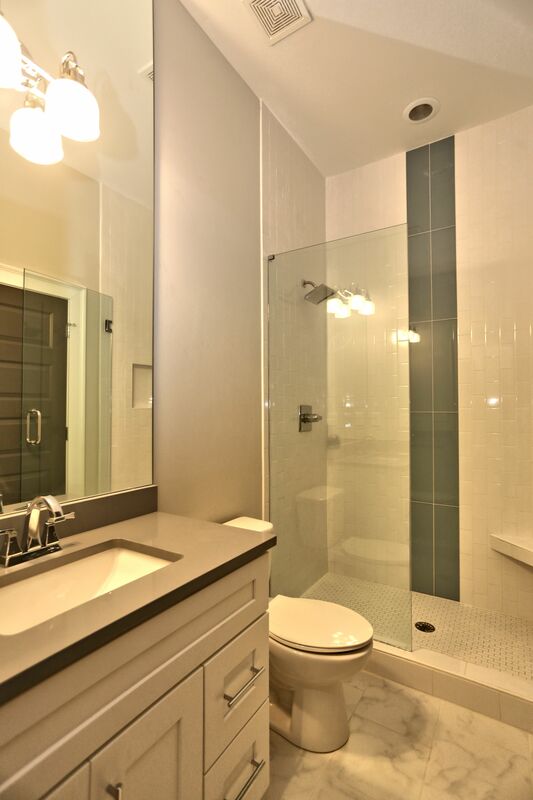 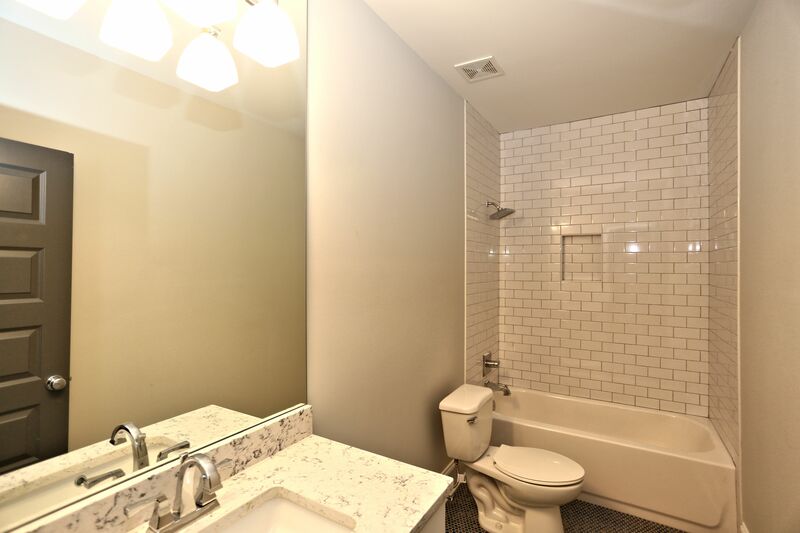 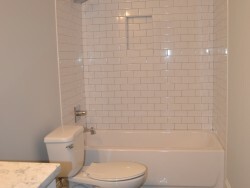 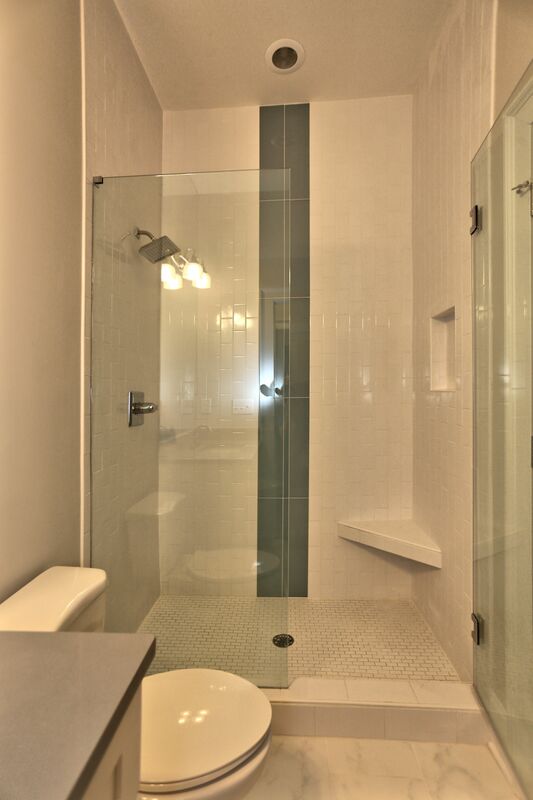 Enormous master bath with private water closet, 2 separate vanities, a soaking tub and glass-enclosed shower with double showerheads, including a rainhead. 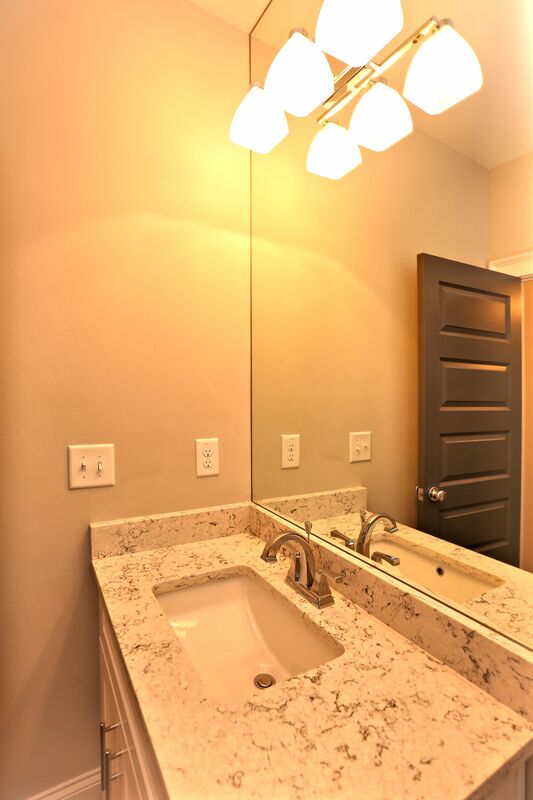 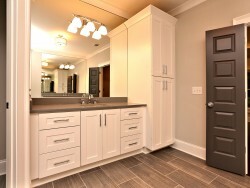 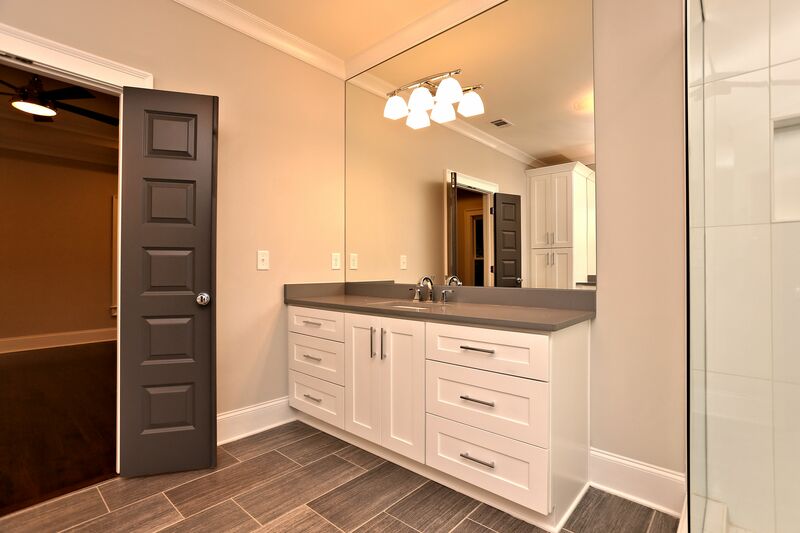 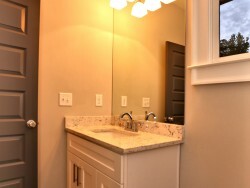 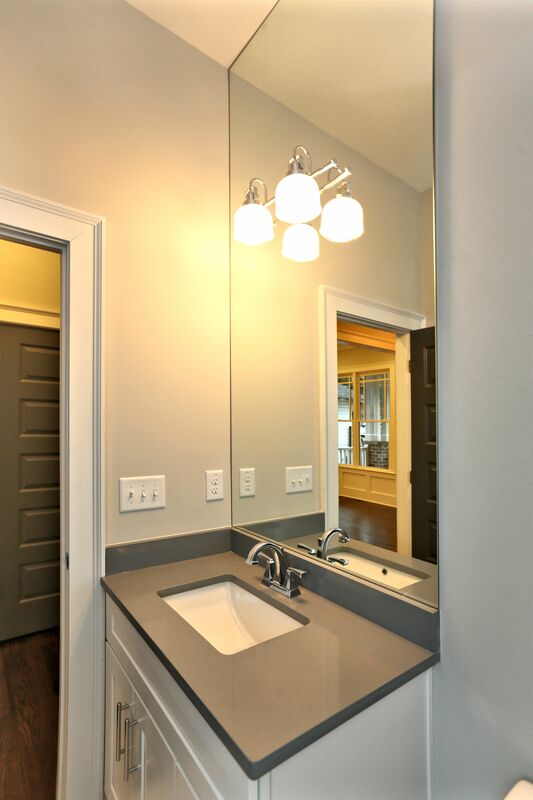 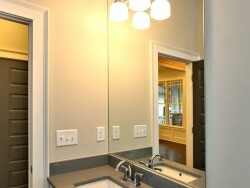 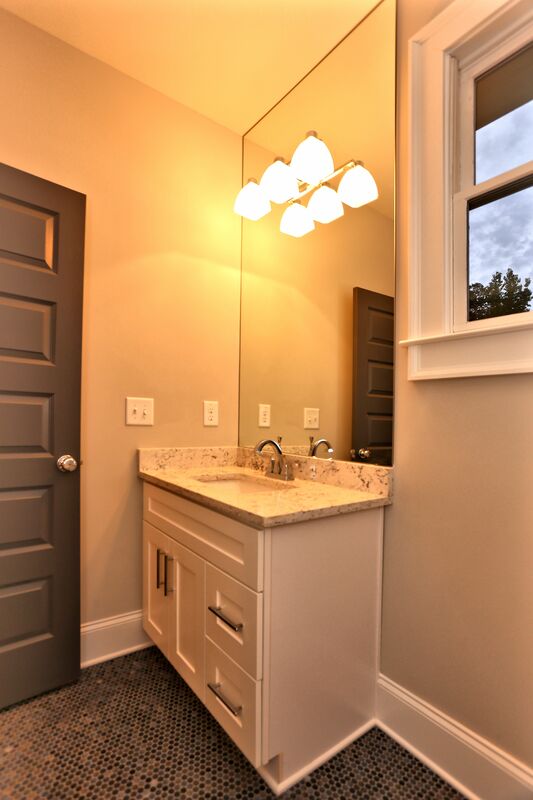 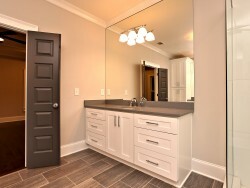 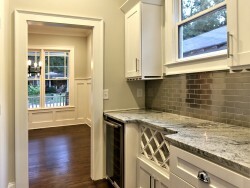 Full size laundry room with sink. 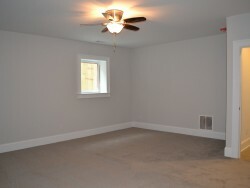 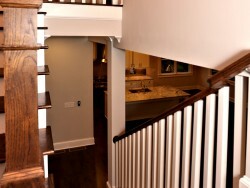 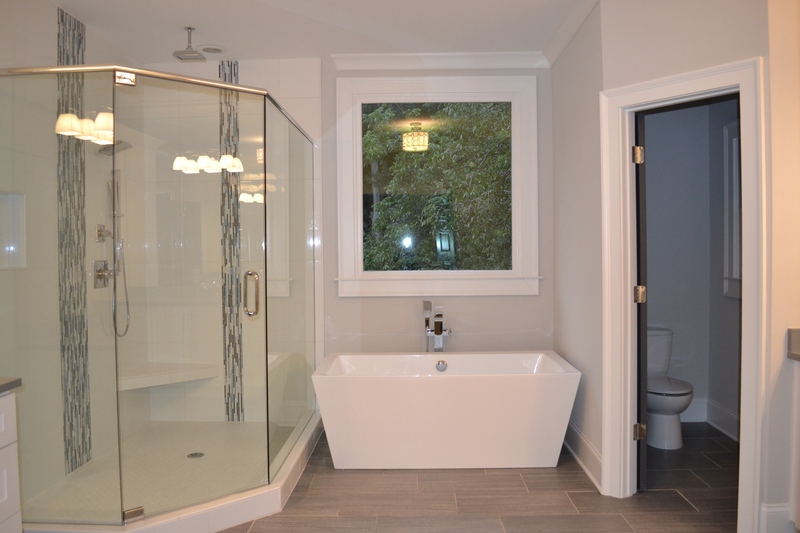 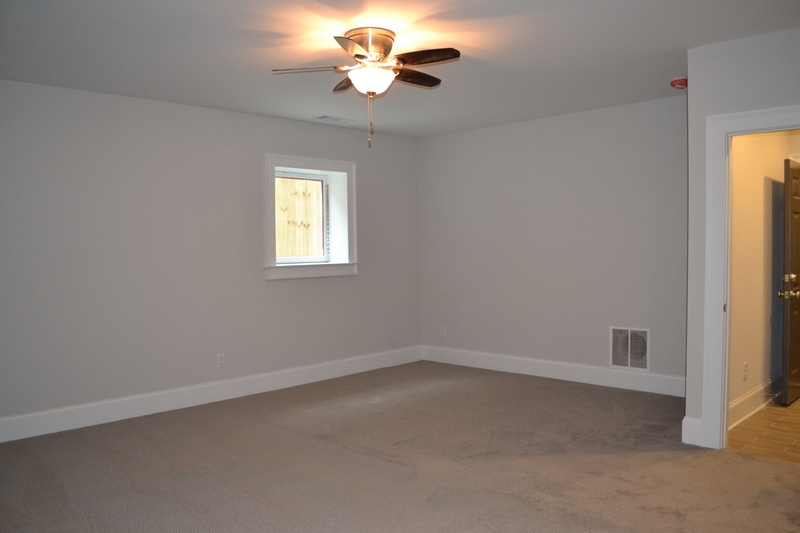 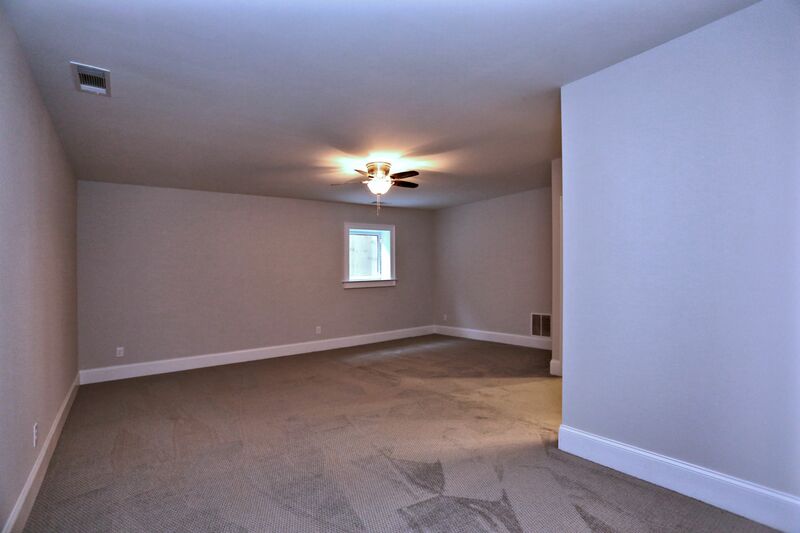 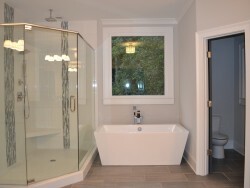 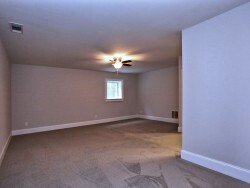 Full finished basement with Media Room and full bath. 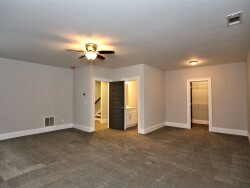 2 car drive-under garage with rear entry. 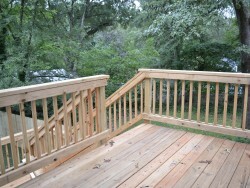 Click below to see larger images and a slide show.